I am doing one of my field placements at St. Timothy’s Episcopal Church, Rancho Penasquitos. Today after the service was the monthly Philosophy for Kids & by Kids. Each month Dr. Maria chooses a story and tells it to the kids (and their parents who always seem to enjoy the story as much as the kids). After the story Maria leads a discussion with the kids about what the story meant, how its meaning can be applied to their lives etc… Often a comment from one of the kids triggers many more comments from the parents. 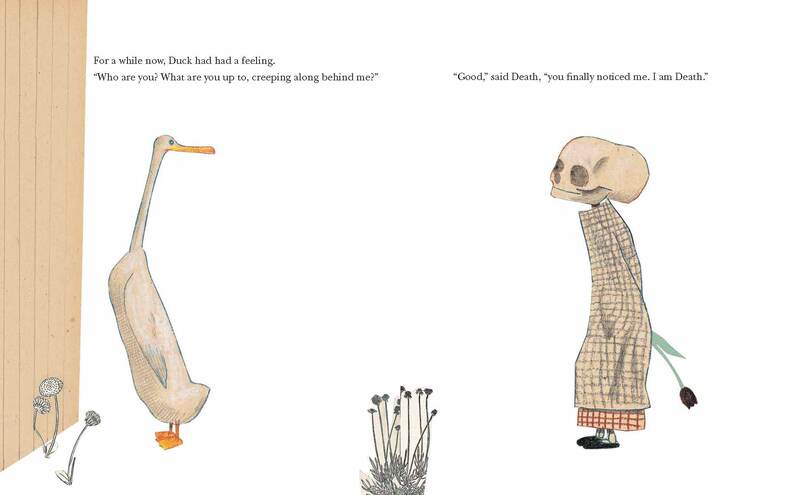 This morning, we read Duck, Death and the Tulip by Wolf Erlbruch. There was some concern before the session about how suitable a discussion on death would be for the kids. As it turned out the kids were fine, but the adults were deep in thought and discussion. Sometimes we shy away from hard questions and hard subjects and by doing so we do ourselves a major disservice. When was the last time we talked to our loved ones about death? what are we afraid off? where do we stand with God and our thoughts on death? Sometimes the thoughts of those much younger than us can teach us so much.